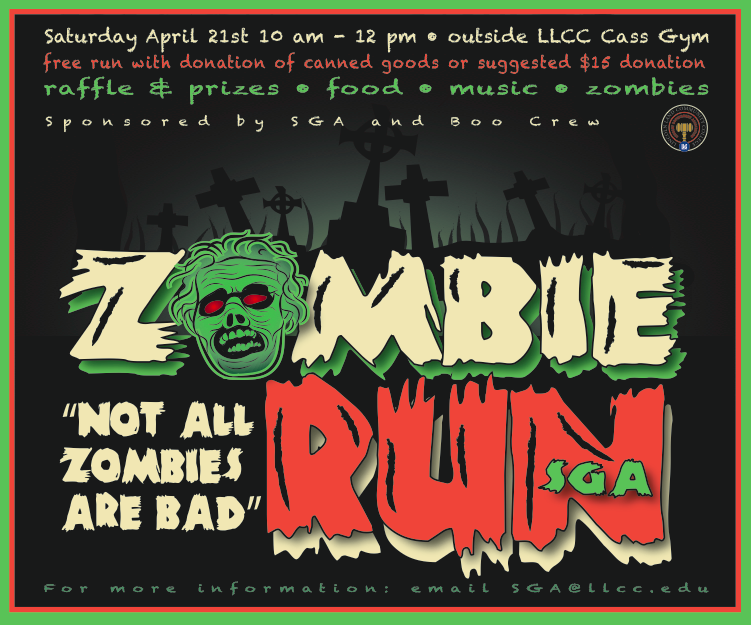 Lincoln Land’s Student Government Association is holding a Zombie Run to benefit the LLCC food pantry. The SGA is asking that participants bring five canned goods or a donation of $15. The run will be 1kilometer in length and each runner will have two flags that the zombies will try to snag. The rules will be similar to flag football. For anyone wanting to volunteer as a zombie, the Boo Crew, a volunteer-based haunted house company, will be doing the makeup for all zombies. The run is scheduled to start at 10 a.m. to 12 p.m. in front of Cass Gym.